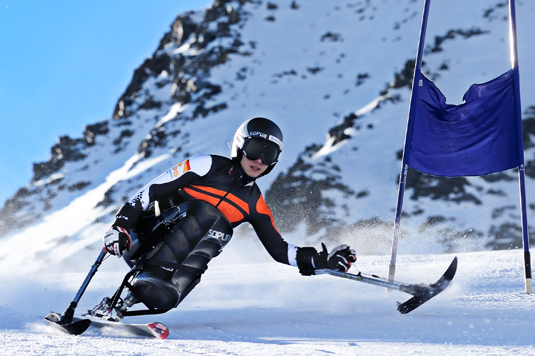 Anna Schaffelhuber has been named Disabled Sportswoman of the Year for 2013. The LMU law student was chosen from a roster of 13 candidates by popular acclaim. “I am really delighted to receive such an honor. It is a further motivation for my next goal - to win a gold medal at the Paralympics 2014 in Sochi,” said Schaffelhuber. In February, she took the slalom gold at the World Championships held in La Molina (Spain), and so qualified for inclusion on the list of nominees for the title of “Disabled Sportswoman of the Year 2013.” In fact, this is the second time that such an award has gone to Schaffelhuber. She also came out on top in 2011, after having won no less than three gold medals at the World Championships in Sestriere (Italy) that year.